Changes to design patent law. I watched the Big Game (a/k/a SuperBowl®) and though I enjoyed the game (I would report the score, but that might make the NFL angry, since they told us that unauthorized use is strictly prohibited) I really enjoyed the halftime show. My favorite part was the dancing sharks behind Katy Perry, and my favorite shark was the left one, who seemed not to have gotten the memo about what the dance was and just flopped about. I heard that a guy was selling little "left shark" figurines that are 3D printed, but that Ms. Perry's lawyers wrote him a nastygram cease-and-desist letter that said that she owned the "exclusive rights to reproduce, display, and distribute its copyrighted images under the United States Copyright Act as set forth in 17 U.S.C §106." I heard that the sale was stopped, but then started again a few days later. What gives? Enter New York University law professor Christopher Sprigman. He offered to help Sosa (for free!) and pointed out Katy appears not to own any IP rights, and that costumes are "useful articles". Under Copyright law, useful articles are not copyrightable unless there are elements that are "separable" from the useful article itself. Check. Sosa resumed sale of his left shark the next day. He also posted the 3D data file so that anyone may download and print her own left shark figurine for free (you just need a 3D printer). Now it's possible that there is something separable about left shark. It's also possible that left shark may have trademark aspects that Katy or the NFL could assert. After all, there's blood in the water, and that's sure to continue to attract circling lawyers as long as Katy and the NFL have the money to pay them (which means for a very, very long time.) The Doc, however, thinks that left shark is already trending into the depths of the Internet. After all, nobody remembers Janet Jackson's Super Bowl half-time performance! Have a question about your useful articles? Talk to the sharks...uh, attorneys... at LW&H. They just keep on swimming in the IP ocean, enforcing their clients rights against infringers, and they do it without remoras. It seems like the Aunt Jemima brand of pancakes and syrup has been around forever. And it almost has. Quaker Oats registered the U.S. trademark for AUNT JEMIMA in 1937. So, it must have been a complete surprise when D.W. Hunter and Larnell Evans, claiming they were the descendants of Anna Short Harrington (reputedly, Aunt Jemima), filed a lawsuit in federal court in Illinois alleging that Quaker Oats and its successor corporations had exploited Harrington's image rights and recipes for profit. They claimed that the defendants owed them more than $2 billion in damages! Now that's a lot of money, but in today's market, it's hardly unusual for celebrities to profit from their names in and out of court. Take, for example, Actress Katherine Heigl ("Knocked Up" and "Grey's Anatomy") who sued New York pharmacy Duane Reade for using her name and likeness in an unauthorized tweet and Facebook advertisement. The complaint alleged that Heigl "is highly selective and well compensated" when she endorses a product or service. She claimed damages in excess of 6 million dollars for unauthorized use of her image! She later withdrew her lawsuit under a cloak of secrecy and we assume that Duane Reade paid her something. Back to Aunt Jemima. Was she a celebrity? Was she even a real person? In their complaint, Hunter and Evans claimed that their grandmother, Harrington, was an employee of Quaker Oats and accused the defendants of intentionally covering up the facts. The two also accused the defendants of breach of contract, conspiracy, and fraud, among other charges, "while alleging that Quaker Oats engaged in "industrial espionage" to procure Harrington's trade secrets before failing to compensate her estate on an annual basis following her death." They also asserted that PepsiCo , Pinnacle Foods, and Quaker Oats engaged in a pattern "of racial discrimination towards Anna S. Harrington's heirs ... reflecting an innate form of disrespect towards African American people." Defendants, on the other hand, claimed that Aunt Jemima was purely a fictional character. Too bad for Hunter and Evans when the court dismissed the case writing that "[T]he only information about plaintiffs' connection to Harrington ... is an account of how Hunter received a photograph (now lost) of Harrington from his grandmother and of plaintiffs' attempt to locate Harrington's grave in Syracuse, New York." That just was not sufficient to maintain the suit. 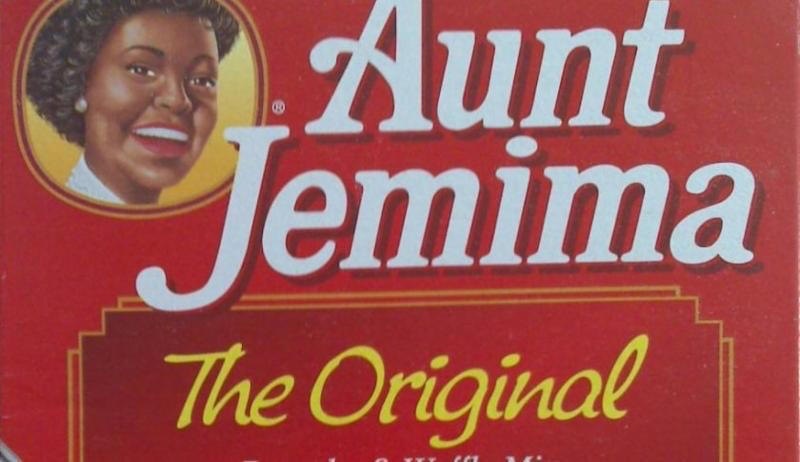 According to PepsiCo, "The Aunt Jemima brand is not, and never has been, based on any one person. We have taken steps to contemporise the 'Aunt Jemima' trademark to ensure it represents a more modern look and feel, and today represents a sense of caring, nurturing and comfort that families have come to know and love." One can't fault the court for dismissing a two billion dollar lawsuit based upon a lost photograph. What were the plaintiffs thinking? The U.S. Patent and Trademark Office issues both 'utility' and 'design' patents. A 'utility' patent protects how something works (e.g., the better mousetrap). A 'design' patent protects the appearance of the thing (e.g., a mousetrap bait that resembles cheese). Design patent law in the U.S. is about to change. The U.S. has taken the steps required to join the "Hague Agreement Concerning the International Deposit of Industrial Designs." U.S. PTO regulations on the subject have not yet been issued, but the program should go into effect on May 13, 2015. The two major differences from current practice are (a) a longer life of the design patent of 15 years rather than 14 years, and (b) a relatively simple mechanism to file a single design application with a single set of fees addressing multiple designs and for multiple countries. For all you conspiracy theorists, the World Intellectual Property Organization administers the Hague Agreement. North Korea and Syria have been member states for years. Coincidence? 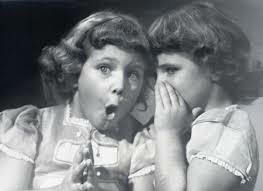 The U.S. Patent and Trademark Office has a secret Sensitive Application Warning System ('SAWS') program for extra review of patent applications where action might embarrass the agency. The problem is how the program functions and which applicants and applications are subject to SAWS are all secret. We know only the broadest guidelines for the program and know that if an application is referred to the SAWS program, then issuance of the patent is delayed by a substantial period of time. The first evidence of the program was leaked in 2006 and the PTO formally acknowledged the existence of the SAWS program in October, 2014 in response to a Freedom of Information Act (FOIA) request. The PTO has rebuffed other FOIA requests for more information about the program. Any secret program, particularly a secret program by which government decisions are made, carries the potential for abuse and arbitrary oppression.